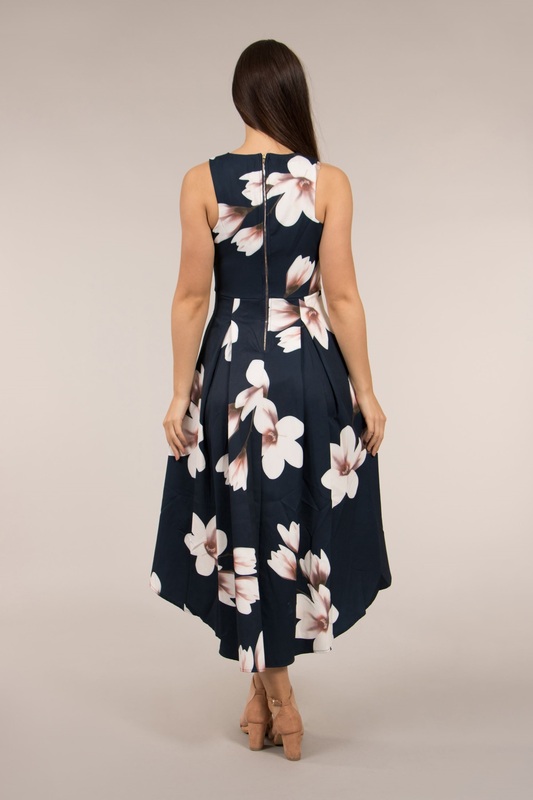 This beautiful floral hi lo hem dress is a must have piece for your evening collection. Feature sleeveless cut, a V neckline, fitted body, balanced out with a full skirt and a high low hem line. This dress brings the perfect elegance needed to any event. Wear with simple heels for a classy look.